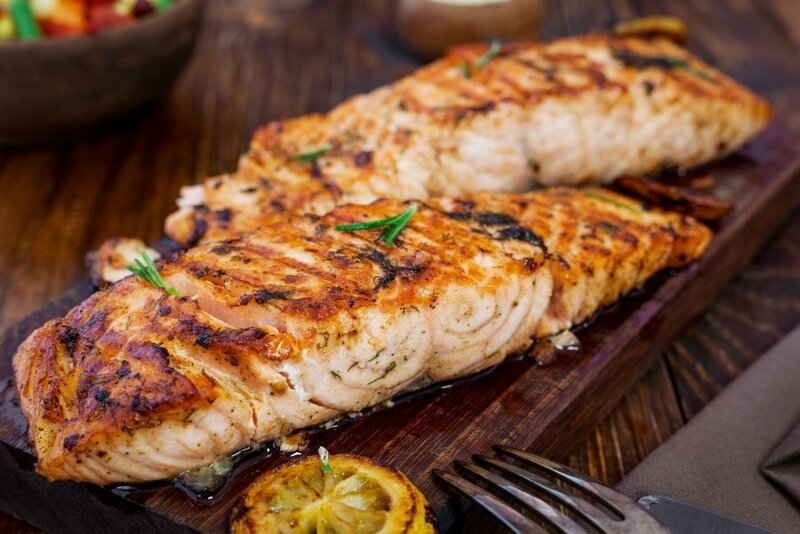 Place salmon steaks in a shallow pan. Combine ingredients and pour over fish. Marinate 4 hours in refrigerator, turning occasionally. 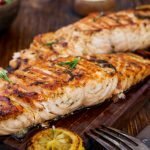 Place salmon steaks on greased cooking grid and grill on LOW for 5-9 minutes per side. Baste with marinade during grilling. Fish is done when it flakes with a fork.